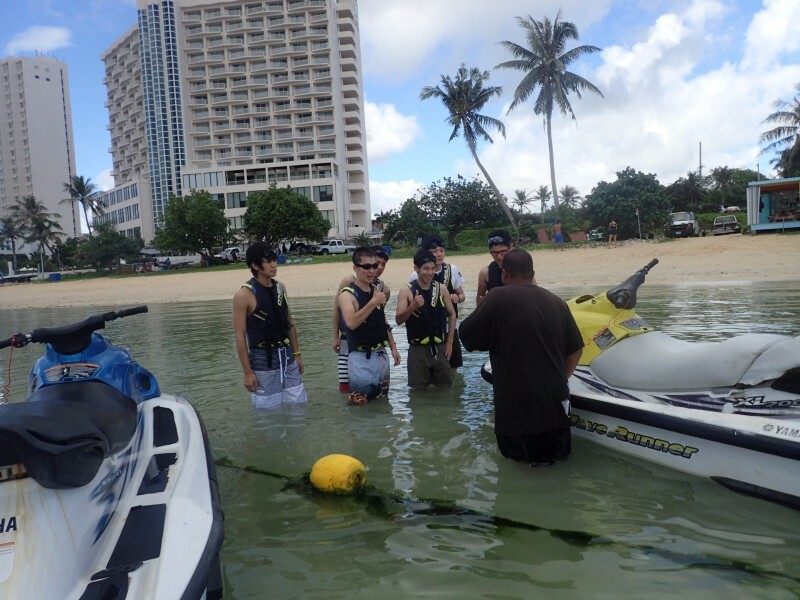 Ride a Jet Ski to Two Lover’s Point! 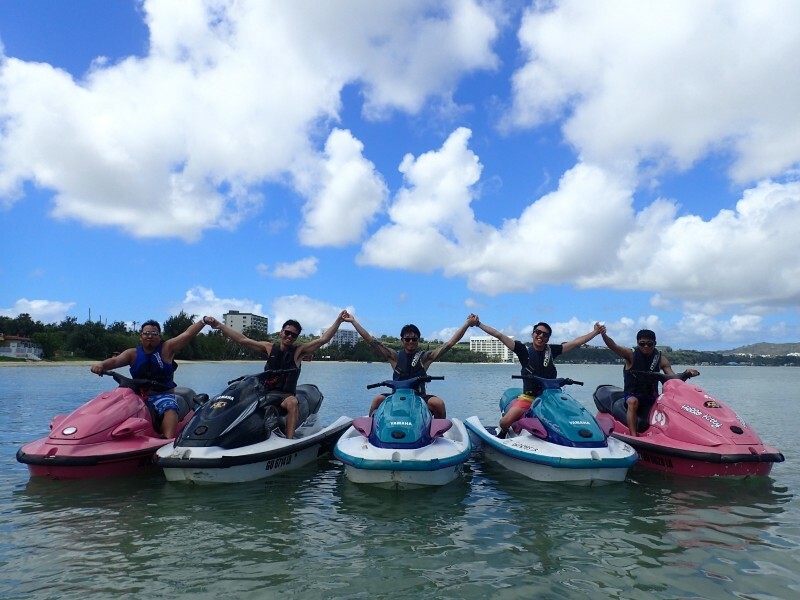 Join us on our 10 mile (16 kilometer) roundtrip jet ski tour from Agana Bay to the famous landmark Two Lovers Point, located on the northern tip of Tumon Bay. 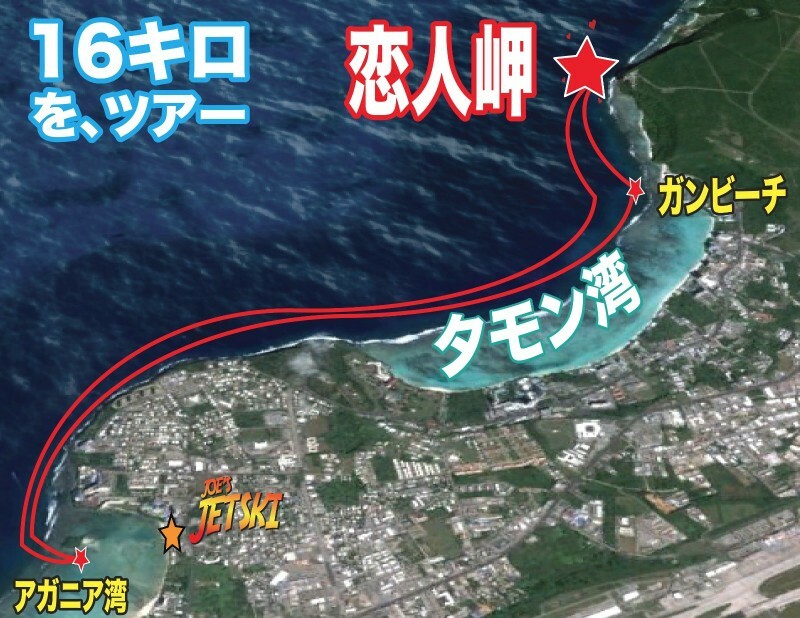 The tour takes place outside of the reef in the open ocean. 100% AWESOME!! 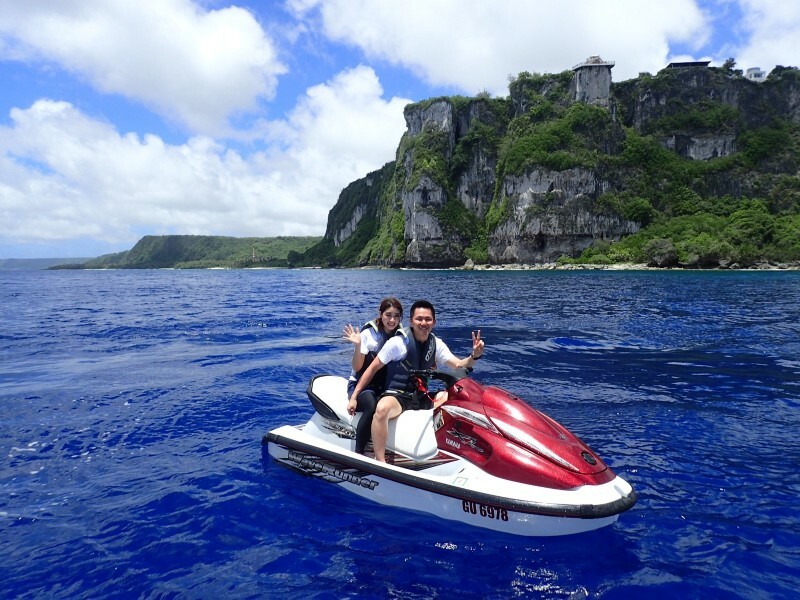 This thrilling tour gives you the opportunity to ride jet skis in Guam’s beautiful deep blue ocean and see Tumon from a whole new perspective. 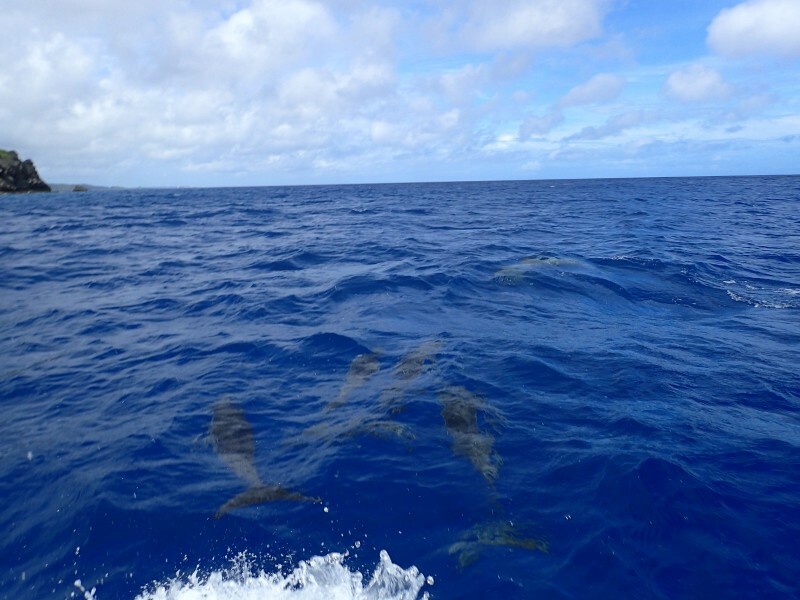 If you’re lucky you can see dolphins that frequently roam around Tumon Bay. It’s also quite a sight to sit below the lookout point at Two Lovers Point, and capture a photo of yourself in a location few get to experience. So what are you waiting for? GET OUT THERE AND RIDE! 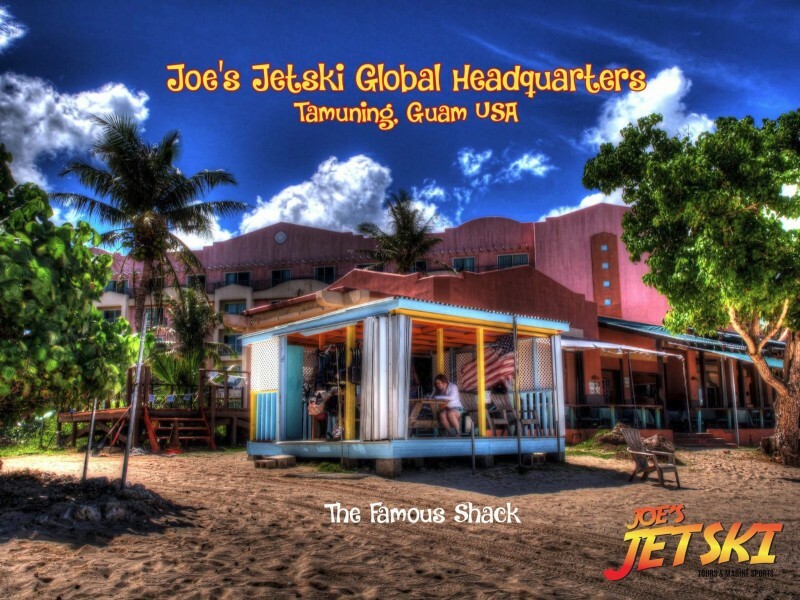 Joe’s Jet Ski is a family owned and operated business and is the largest and longest-running Two Lovers Point tour company in Guam. 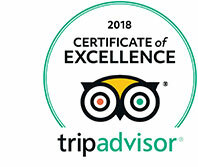 Read more about us. Groups big or small we can handle them all! Group discount rates are available, starting at 6 persons or more. For group rates, contact us today or call us directly at (671) 989-8687.